NYS 4th Department Appellant Division Unanimously Agrees ‘Judge’ Ronald Ploetz Does Not Know What an Arrest or Question Is. 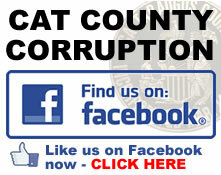 Ronald Ploetz the “judge” for Cattaraugus County New York is unfit for the job as County Judge. 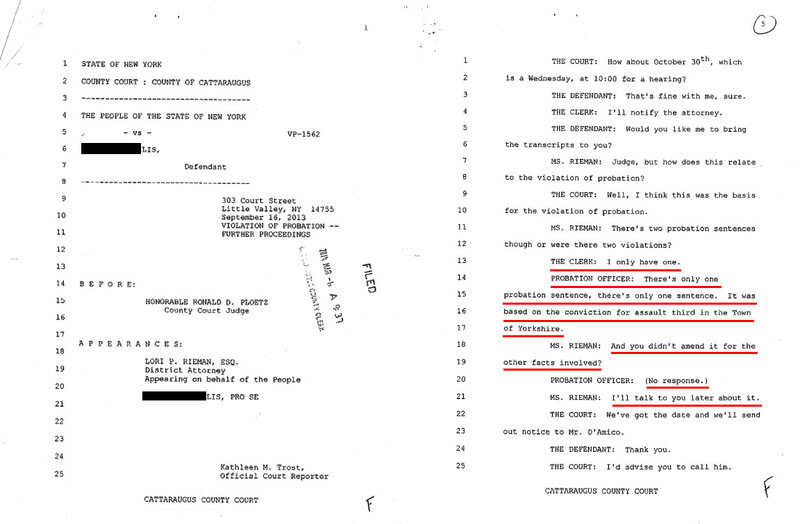 Ploetz lies in his decisions and orders and misrepresent the facts in order to cover up the crimes and subordinates, the corrupt elements of law enforcement and the Cattaraugus County District Attorney’s Office, which included ‘DA’ Lori Rieman, ‘ADA’ William Preston Marshall and his wife Bridget, who who hit a Defendant in court and apologized for it. Then you have Court Clerk Secretary Jillian Koch would illegally edit out the objections made by the Defendant’s Lawyer and the Defendant, and last but not least ‘ADA’ Elizabeth Ensell, who’s father John Ensell use to work for the DA’s office to and who’s sister Catherine has committed numerous crimes, including violent felonies, including hitting a woman over the head with a Goldschlager bottle and stabbing another, and Ploetz and Rieman would spring into action throughout the years and ‘help’ out the Ensell’s by reducing the violent felony charges to a single misdemeanor. The latest example is her drug bust in April of 2016 where Catherine was caught along with three other people dealing drugs. They were all indicted on the same charges; (1) One B Felony; (1) A Misdemeanor and (1) Violation. Two of the individuals appeared to have no record and the other had a non violent conviction years earlier. They all had to plead out to a lower class felony but Catherine Ensell was allowed to plead out to a Misdemeanor with no jail time. 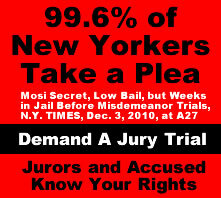 In New York a plead out is offered by the District Attorney and accepted by the Defendant the judge has to approve it. Copy of 4th Department decision unanimously deciding Ploetz does not know what a question or arrest is. 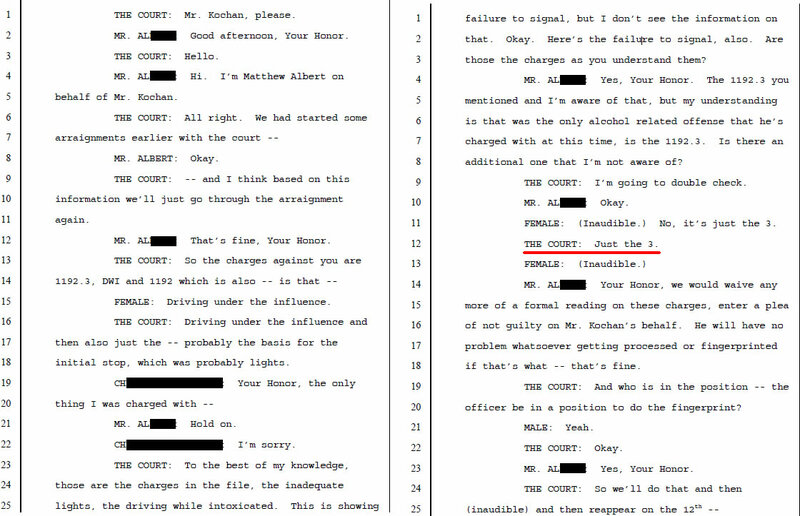 department and the 4th Department decided unanimously that Ploetz does not know what a question or arrest is. If a judge does not know what a question or arrest is then he should not be a judge. Once an appeal is won by a defendant serious liability can attach against the government entities involved, in this case that would be the county, district attorney and others, around this time the victim was approached by a law firm to sue the county. The victim took the offer and filed a federal lawsuit. 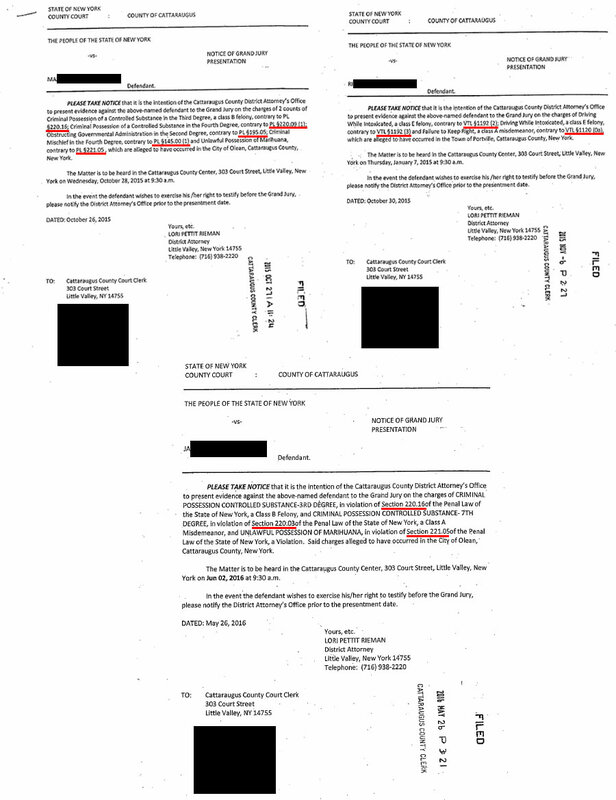 The lawsuit was dismissed because the law firm claimed that the victim was not communicating with the law firm. This could be further from the truth. The victim was constantly in communications with the law firm and has e-mails and text messages to back it up. It was soon discovered that the lead attorney for the victim in the lawsuit was a classmate of Ronald Ploetz and the law firm ends up with a office in Cattaraugus County in the most prime real estate locations; Ellicottville, New York. 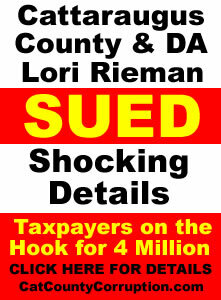 In another case Ploetz would ignore a clear lack of jurisdiction in a defendants pleadings when District Attorney Lori Rieman filed a motion to change venue well outside of the time limitations imposed on such a move after a lower court judge had voluntarily recused himself from the matter. 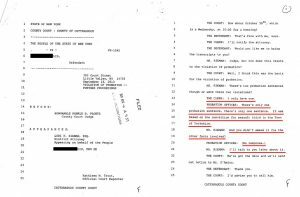 In another case Ploetz would ignore the obvious lack of jurisdiction when District Attorney Lori Rieman would present a case to a Grand Jury on a charge the defendant was never charged with. In order for a District Attorney to bring a lower court case to a grand jury the District Attorney must bring the misdemeanor charge in question to the Grand Jury pursuant to CPL 170.20, the only law available to a District Attorney to do so. Further, historically CPL 170.20 is used for crimes involving victims like assaults or serious matter like drug dealing (unless your an Ensell). It is used to elevate the conduct to a more serious charge and is usually only utilized when a person has a record in the matter before a court. First time DWI where no accident occurred, the BAC was below .05% and the only other charges were two simple violations one of which do not occur. In fact it appears to be the first time in the history of Cattaraugus County that charges of this nature were taken (illegally) to the Grand Jury. In that matter the Defendant/Victim was never charged with the ‘crime’ District Attorney Lori Rieman brought to the Grand Jury, i.e. Obstruction of Government Administration”. 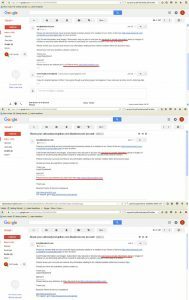 This is fraud upon the Grand Jury Process and the County Court due to DA Lori Riemans action and Ronald Ploetz was aware of it and refused to dismiss it. Further, there were only three original charges, two of which were violations and the one a misdemeanor, all of which were in the form of simplified imformations, however the Rieman refused to bring that actual traffic violation misdemeanor DWI charge to the Grand Jury. Rieman, in her “Notice of Presentation to the Grand Jury” did not cite for the victim the actual charges the victim was allegedly charged with. She only used the vague wording found in the statutes, the exact opposite she would do for all other individuals who were served the same type of notices. 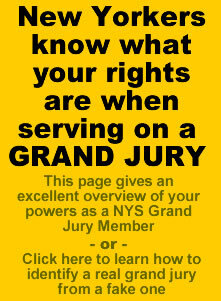 Example of Grand Jury Notices of Others that Cite the Laws Allegedly Violated. 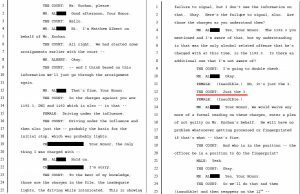 This would not allow the victim to prepare to be called before the grand Jury because he did not know what she was taking before the Grand Jury, more proof she was acting in a vindictive manner, why? Because the individual was calling attention to her criminal conduct and criminal conduct of her subordinates and others. 195.07 Obstructing governmental administration in the first degree. A person is guilty of obstructing governmental administration in the first degree when he commits the crime of obstructing governmental administration in the second degree by means of interfering with a telecommunications system thereby causing serious physical injury to another person. 195.08 Obstructing governmental administration by means of a self-defense spray device. A person is guilty of obstructing governmental administration by means of a self-defense spray device when, with the intent to prevent a police officer or peace officer from performing a lawful duty, he causes temporary physical impairment to a police officer or peace officer by intentionally discharging a self-defense spray device, as defined in paragraph fourteen of subdivision a of section 265.20 of this chapter, thereby causing such temporary physical impairment. 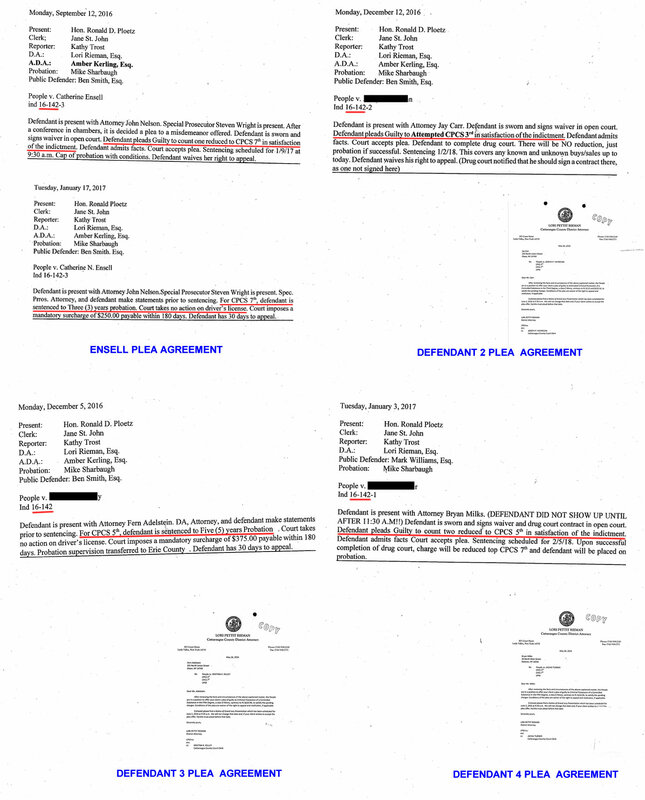 Proof Rieman Offers Plea Deals to other “defendants” before it goes to the grand jury. Further, Reiman also offers plea deals before the charge(s) are taken to the Grand jury, not in this matter. No pleas were offered. The Grand Jury came back with a ten count indictment. One of the charges/counts has even been ruled unconstitutional. Who says you can’t indict a ham sandwich in Cattaraugus County New York. Ploetz was well aware of these issues and refused to do anything about it. A judge by law must be neutral, fair and unbiased. 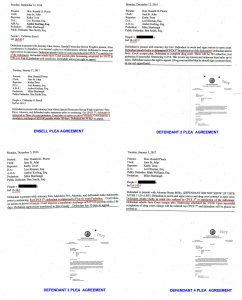 Ploetz is not only not neutral he is just an extension of the corrupt District Attorney’s office and acts as a clean-up/cover man for the criminal conduct of public employees. In cases in which jurisdiction is at question the judge has no discretion whatsoever; “There is no discretion to ignore lack of jurisdiction.” [Joyce v. U.S. 474 2D 215. ]; “The law provides that once State and Federal Jurisdiction has been challenged, it must be proven.” Main v. Thiboutot , 100 S. Ct. 2502 (1980); “The burden shifts to the court to prove jurisdiction.” Rosemond v. Lambert, 469 F2d 416. 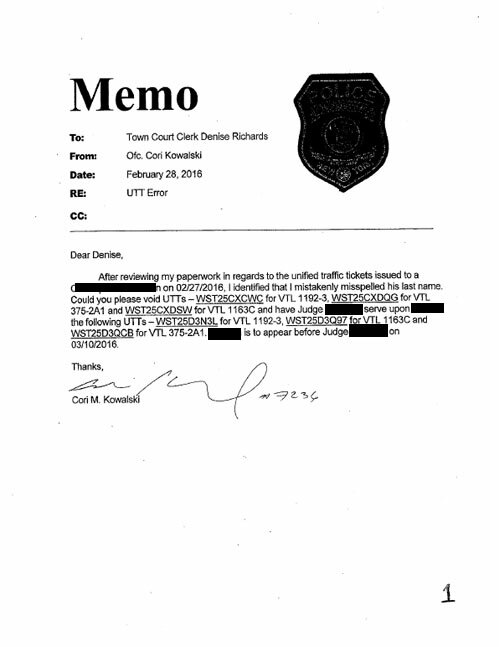 On top of that even if Rieman did bring the actual pending DWI misdemeanor charge, in the form of a simplified traffic information, to the grand jury, it would have been null and void to because all three original simplified traffic information, which were filed on February 27th, 2016, were superseded by new simplified informations, filed on February 28th, 2016, with the same charges, This is not allowed by law and the case had to be dismissed. On top of that the victim was never served with the second set of simplified traffic informations. 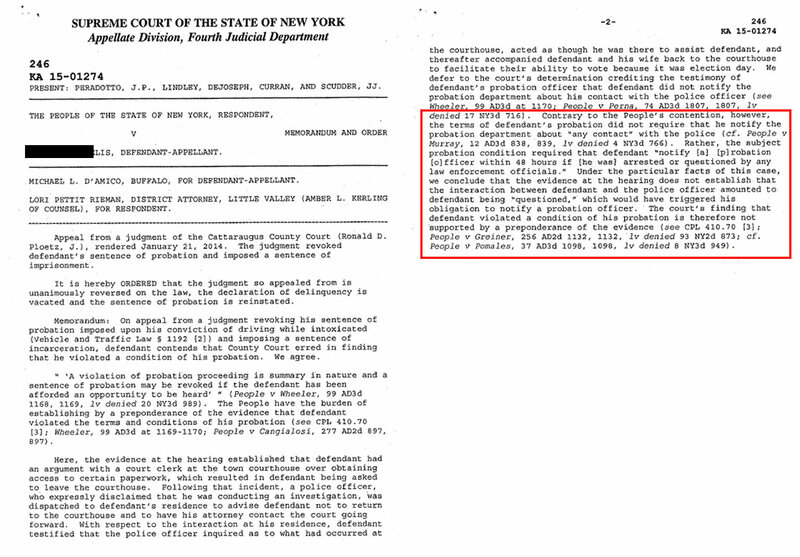 Ploetz knew all of this but chose to ignore the law and his oath of office and proceeded anyways; “a simplified traffic information cannot be superseded by another simplified traffic information, by a prosecutor’s information, or by a long form information” (see e.g., People v. Kearns, 46 Misc 3d 43, 1 NYS3d 729 [App Term 2d Dept 2014]; People v. Greco,12 Misc 3d 83, 819 NYS2d 630 [App Term 2d Dept 2006]. 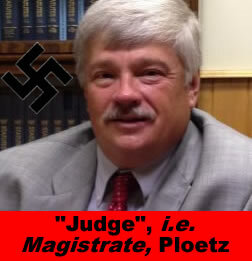 Ronald Ploetz is unfit for the seat of county judge. 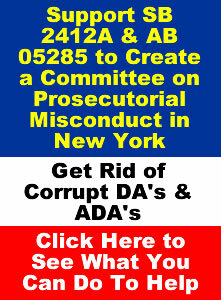 People v. Spiegelman, 142 Misc.2d 617 (1989), 537 N.Y.S.2d 964 clarifies the law when it comes to dealing with defects in simplified informations, the People (which is represented by the District Attorney) have one of two options to take; (1) have the court dismiss the simplified informations, or (2) move the court to allow for the people to amend the simplified informations if the defects are amendable. The defects in this matter, the incorrect spelling of Defendant’s name and the location where the events allegedly occurred (which was clearly spelled out in Ploetz’s decision dated 22MAR17) were amendable. 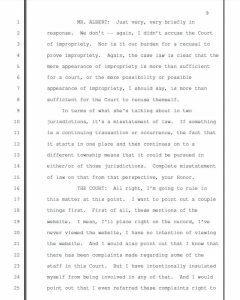 People v. Almendarez, 24 Misc. 3d 649, the courts describe various items that are permitted to be amended applying CPL 170.35 which prohibits dismissal of informations as provisions of CPL § facially insufficient where the “defect or irregularity is of a kind See People v. Pena, 146 Misc.2d 767, that may be cured by amendment.” 552 N.Y.S.2d 543 (Crim. Ct., N.Y. Cty. 1990); People v. Twine, 121 Misc.2d 762, 468 N.Y.S.2d 559 (Crim. Ct., N.Y. Cty. 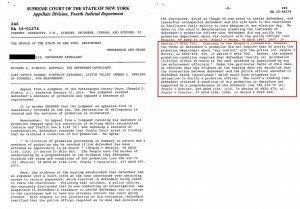 1983); People v. Parris, 113 Misc.2d 1066, 450 N.Y.S.2d 721 (Crim. Ct., N.Y. Cty. 1982); People v. Pacifico, 105 Misc.2d 396, 432 N.Y.S.2d 588 (Crim. Ct.), Amendments to informations are generally permitted Queens Cty. 1980. People v. Kurtz, to correct errors to time, place and names of persons. 175 Misc.2d 980, 670 N.Y.S.2d 1008 (Crim. Ct., Queens Cty. 1998). Amendment of names is permitted to situations where a name is misspelled (People v. Johnson, 104 N.Y. 213, 10 N.E. 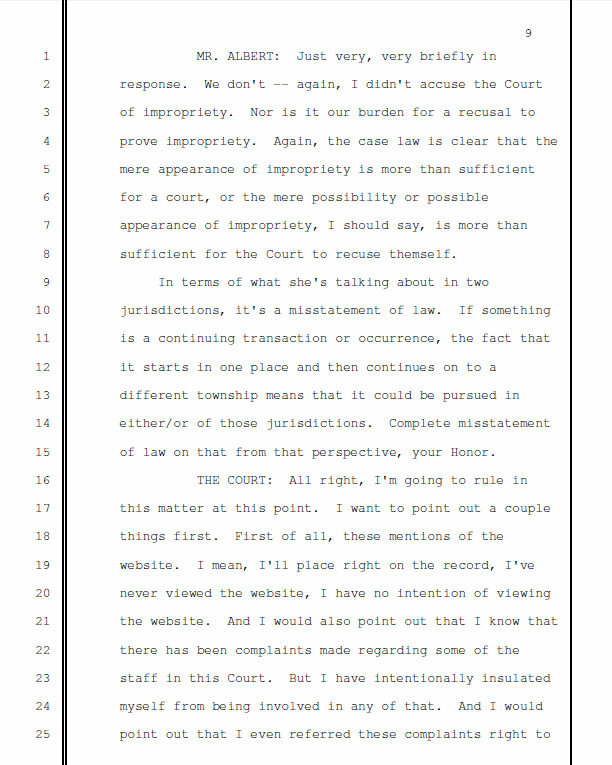 690  ) or a witness has been incorrectly identified in a supporting deposition (People v. Twine, supra). The important aspect of CPL 170.35(1)(a) is the use of the word “must” in this statute. That means the District Attorney is mandated to amend a defect in the nature of a misspelled name or location, no exceptions. The District Attorney does not have a choice. Further even if the simplified informations were facially defective, a motion to dismiss was required which it must also be noted that the people failed and/or refused move for a dismissal. 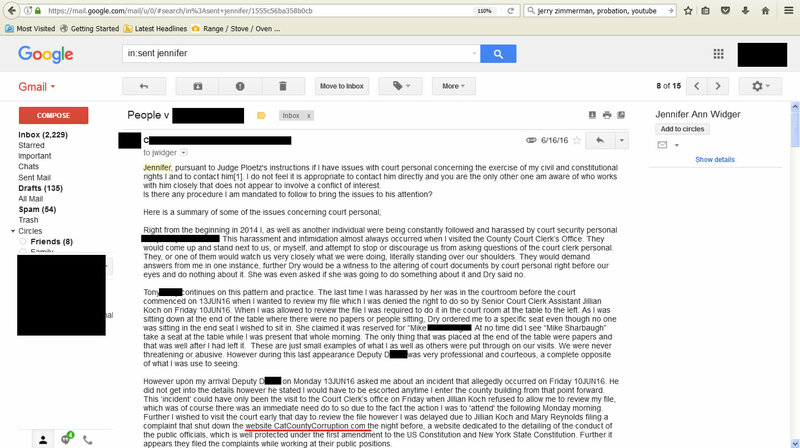 Further, ‘Judge’ Ronald Ploetz, when the Attorney of the victim of his criminal nature asked for his recusal over the fact that the victim was a contributor to this website, Ploetz claimed that he was not aware of the website and never looked at it, even though Jillian Koch, a secretary at the county court clerk’s office attempted to shut this website down by filing a complaint that actually required her to fax a copy of her drivers license to the hosting service to prove who she was. 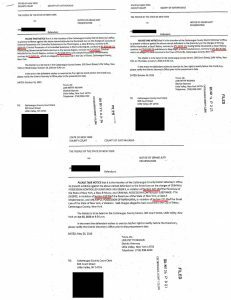 Not only did Koch file a complaint, to others did also; Mary Reynolds the personal secretary of Ploetz, who has in the past denied citizens access to court records and the District Attorney herself, Lori Rieman. All three had to provide a copy of their drivers license to the hosting service. It is unprecedented that a District Attorney would attempt to shut down a website based on the 1st Amendment, one of the very rights she is sworn to uphold. District Attorney Lori Rieman swore an oath to protect and defend the 1st Amendment and in fact does the exact opposite. 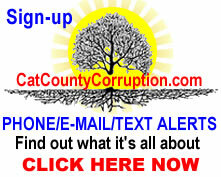 Jennifer Ann Widger, Ronald Ploetz’s chief law clerk is also well aware of CatCountyCorruption.com and Ploetz claims he has never reviewed CatCountyCorruption.com? OK. 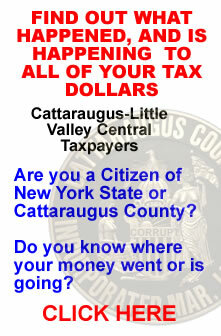 This is how utterly corrupt the executive and judicial branch of the Cattaraugus County Government is. 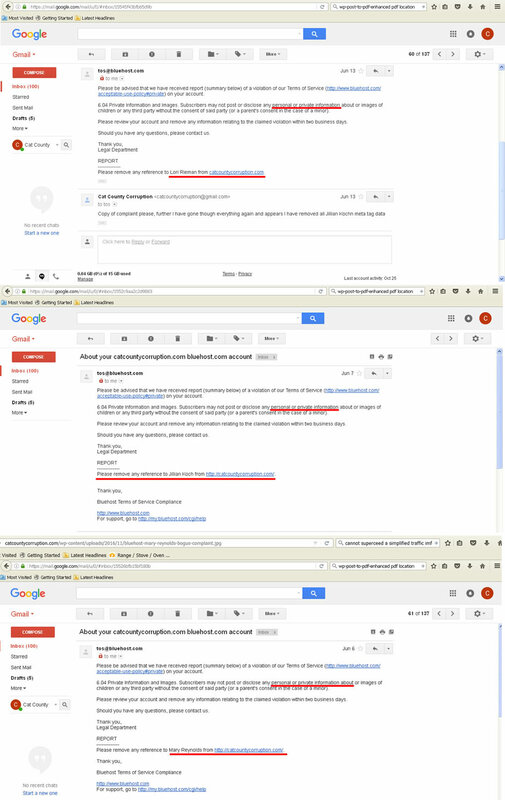 CatCountyCorruption.com had to go offshore to Iceland, the home of wikileaks to locate a hosting service. Ironic how a website that is exercising 1st amendment rights has to go outside of the United States in order to exercise 1st Amendment rights. Some judges disqualify themselves only when in their own mind their connection with the case is such that they feel they cannot be fair and unbiased. The practice which impresses me is that a judge should disqualify himself whenever there might be the slightest impression upon the part of a litigant that his decision might be swayed by his connection with the case or his interest in the case, for it is important in the administration of justice not only that our courts be presided over by judges who are fair and impartial, but it appears to this court that it is equally important that litigants believe that they are being tried by a judge who is fair and impartial and not influenced by any personal interest in the case.“ (See, also, Van Schaick v. Carr, 159 Misc. 873,880; People v. Rowley, 48 Misc.2d 26.). In Marshall v. Jerrico, Inc., 446 U.S. 238, 242-43 (1980), the Supreme Court stated that “decisional independence” is essential to due process: “The Due Process Clause entitles a person to an impartial and disinterested tribunal in both civil and criminal cases.” This requirement of neutrality in adjudicative proceedings safeguards the two central concerns of procedural due process, the prevention of unjustified or mistaken deprivations and the promotion of participation and dialogue by affected individuals in the decision making process. In this matter, the respondent denied the Appellant his ability to due process by unfairly and unjustly using his position to threaten and/or deny his ability to exercise his rights, in doing so Respondent violated Canons 1, 2(A), 3(B) (1), (3), (4), (8) and (9). 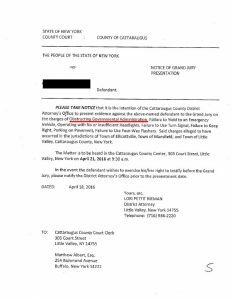 ‘Judge’ Ronald Ploetz’s, the Cattaraugus County Court Judge, commits perjury and wars against the Constitution of the United States, the very document that that allegedly gives him the power over you. Any judge who does not comply with his oath to the Constitution of the United States wars against that Constitution and engages in acts in violation of the Supreme Law of the Land. A judge is engaged in acts of treason. [Cooper v. Aaron, 358 U.S. 1, 78 S.Ct. 1401 (1958)]; Common/Case law has shown that when a judge acts outside of his capacity judicial immunity is not absolute. In this matter the Judge failed and/or refused to abide by specific constitutional mandates as so described within this Motion. The Court knew, or should have known that it lacked authority (jurisdiction) to deprive claimant of his Rights and therefore immunity is lost. [Rankin v. Howard, (1980) 633 F.2nd 844]. Further the assertion of federal rights, when plainly and reasonably made, are not to be defeated under the name of local practice [David v. Wechler, 263 U.S. 22, 24; NAACP v. Alabama, 375 U.S. 449]; The presence of malice and the intention to deprive a person of his civil rights, under color of law is wholly opposed with judicial function. When a judge acts intentionally and knowingly to deprive a person of his constitutional rights he exercises no discretion to individual judgment; he acts no longer as a judge, but as a ‘minster’ of his own prejudices [Pierson v. Ray 386 U.S. 547 (1967)]. No one in this country is so high that he is above the law. No officer of the law may set that law at defiance with impunity. All the officers of the government from the highest to the lowest are creatures of the law and are bound to obey it [Buckles v. King County 191 F.3d 1127 via United States v. Lee, 106 U.S. 196, 220 (1882)].